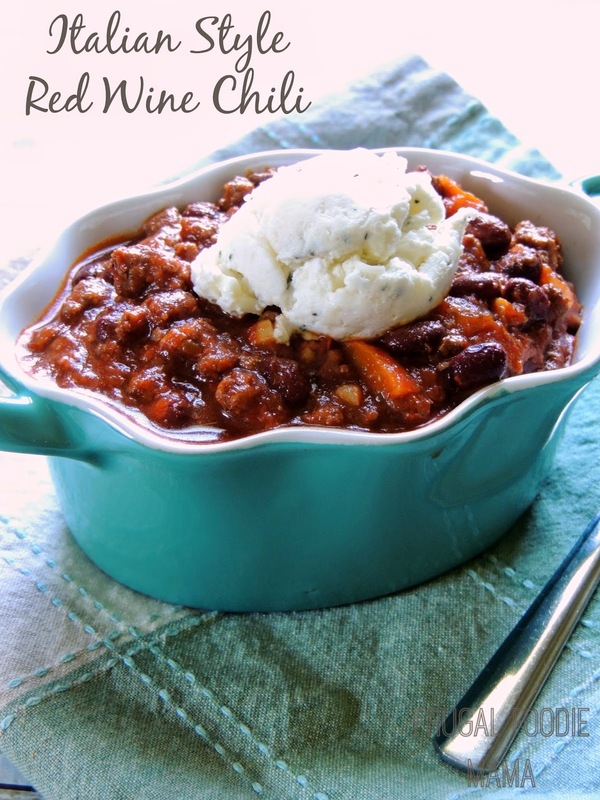 I will be busy, busy with the Baking For Kate online bake sale & auction this coming weekend, but I wanted to be sure to share this recipe for my Italian Style Red Wine Chili with you all before this coming Sunday. And why this coming Sunday? Use a red wine that you love sipping for this recipe because you will have enough leftover in the bottle to have a couple of glasses. 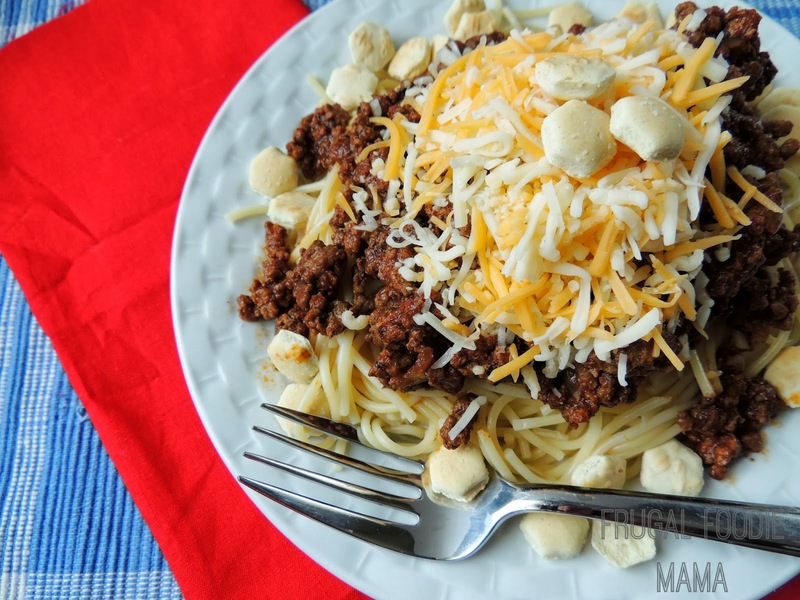 Bonus with this chili recipe? It is for the slow cooker! As the weather continues to get warmer and the temperatures climb, I find myself pulling out my slow cooker at least 3 or more times a week just to keep my oven off. I swear within 10 minutes of turning my oven or stove on, the temperature in my kitchen has climbed at least 10 degrees! Spray the inside of a 6 quart slow cooker with cooking spray. Heat the olive oil in a large skillet over medium-high heat. Once heated, add in the onion, bell pepper, and garlic and saute for 3-4 minutes. Add to the prepared slow cooker insert. Add the hamburger to the same skillet, season with salt and pepper, and brown. Drain off any fat. 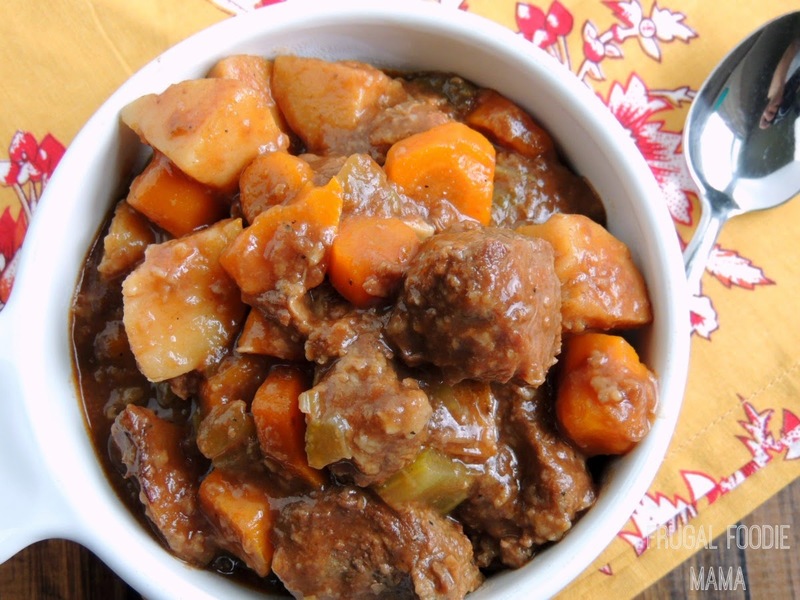 Add the browned hamburger to the slow cooker. Now add the rest of the ingredients through the dried basil and stir well. Cover and cook on low for 6-7 hours, stirring occasionally. Once the chili has slow cooked for the 6-7 hours, taste and season with salt and pepper as needed. Prepare the ricotta-mozzarella topping, by mixing together the ricotta, shredded mozzarella, and dried basil. Taste and add kosher salt to your taste. 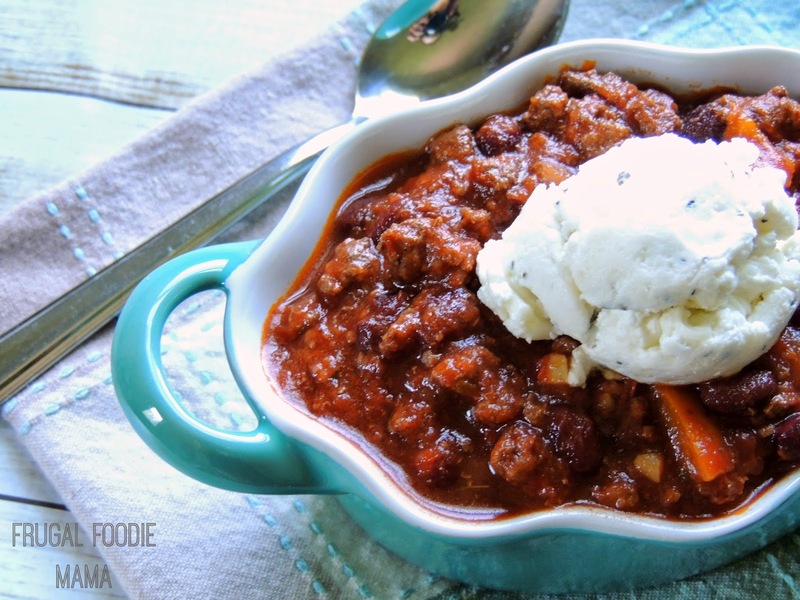 Ladle the chili into bowls and top with a rounded tablespoon or so of the ricotta-mozzarella topping. 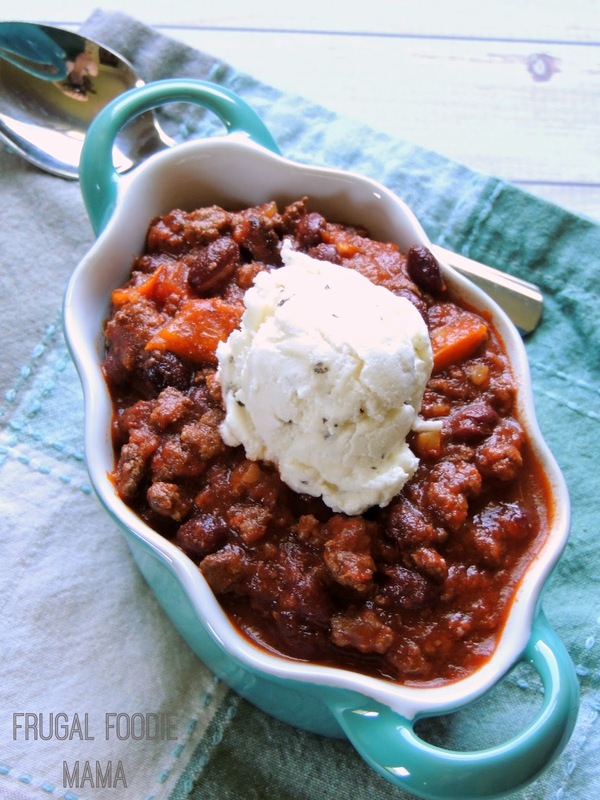 Since this is an Italian style chili, I ditched the classic sour cream topping for a creamy ricotta-mozzarella topping. As the topping melts and you stir it a bit, the mozzarella becomes ooey and gooey. Perfection, folks!